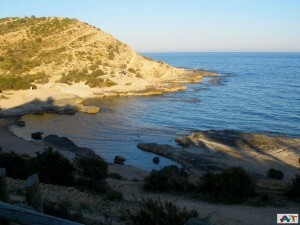 La Cala Cantalar is a few meters from Camino del Faro. It is noted for its natural environment and its rocky composition. Has an area of ​​100 meters long and 6 meters wide. Definitely a small shelter where to be in complete sync with nature. Access: Car and bus (line 22). The beach of San Juan is the best known of Alicante. With an area of ​​7 km, is an open sandy beach that runs from Cabo de las Huertas to El Campbell. It has a long promenade, with a variety of craft stalls. I n your environment, many amenities, shops, restaurants and bars. Nearby is also the leisure Alicante Golf. Playing sports such as windsurfing and kite surfing is very common, and recently has opened a bike lane for cyclists and skaters can enjoy the sport by the sea. Services: rental umbrellas and hammocks, boxes, car parking, cleaning services, play areas, rescue and footbaths. 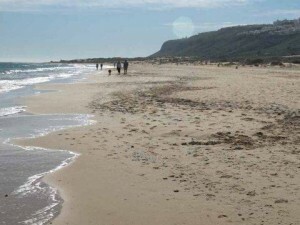 AlbuferetaBeach is midway between Alicante and Playa de San Juan. It’s a beach of fine golden sand about 500 meters long, calm waters. There are many facilities in the vicinity a few meters away is the Club Náutico Alicante. Its promenade has recently been remodelled, with shaded areas and rest alternating with games for children. Services: recreational sports, floating platform, wheelchair access, housekeeping, play areas, boardwalk, rescue service, footbaths. Located at the foot of the mountain CarabassíBeach is a pristine golden beach and clear water of about 1 km. length. Its location in the natural landscape of dunes, marshes and low vegetation make this beach a haven. Considered ecological protection area, is suitable for nudists. The Cape of San Antonio, which is located in the Natural Pa rk of Montgó. El Faro: located about 170 meters high. It is located in a privileged position from which we can see to the north the town of Denia and the Gulf of Valencia and south bay of Javea. San Antonio is steep, rocky and rough, has a great natural and immense biodiversity. It was declared a Marine Reserve in 1993. 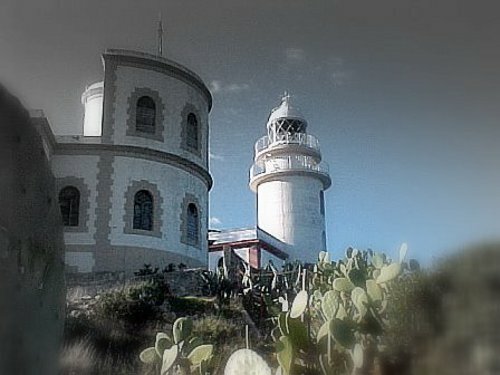 At the end of the line, at the top of the lighthouse is located. San Antonio is an amazing viewpoint. Enjoy a superb panoramic view of the coast of Javea and Denia.